This afternoon (Tuesday 7 July 2015), the Scottish Information Commissioner (SIC) will publish two key decisions on seal-killing salmon farms (access online here). Today's rulings are expected to either force the Scottish Government to re-publish data identifying salmon farms killing seals or reveal a dramatic u-turn by the SIC in allowing the names of salmon farms killing seals to be hidden from public view. According to official Scottish Government figures (excluding 2015 since no data has been published), salmon farms in Scotland have killed 634 seals since 2011. An analysis of the data by GAAIA in 2013 revealed that Hjaltland (Grieg Seafood), Scottish Sea Farms (Leroy/Salmar), Marine Harvest and the Scottish Salmon Company were the most lethal. Over half (52%) of the 215 active salmon farms in Scotland killed at least one seal. The deadliest salmon farm was Hjaltland's Lax Firth site in Shetland with 18 dead seals followed a Scottish Sea Farms site in Veantrow Bay in Orkney with 14 dead seals. The senseless slaughter of seals around the Scottish coast is coming under increasing public scrutiny with alarming video footage shot by Sea Shepherd making waves in the media last month (see/read: "WATCH: Shocking moment marksman shoots dead seal in cold blood"). Police Scotland has also been caught in the crossfire as the 'seal-shooting war' has recently escalated (read "Seal-shooting wars: reports sent to Fiscal"). "Next time you’re at the checkout, how do you know that the salmon in your basket isn’t essentially drenched in seal blood?" said actor Martin Shaw in an interview with The Sunday Times in May 2013. "The best thing you can do to end this bloodshed is to simply boycott this intensive and cruel industry." 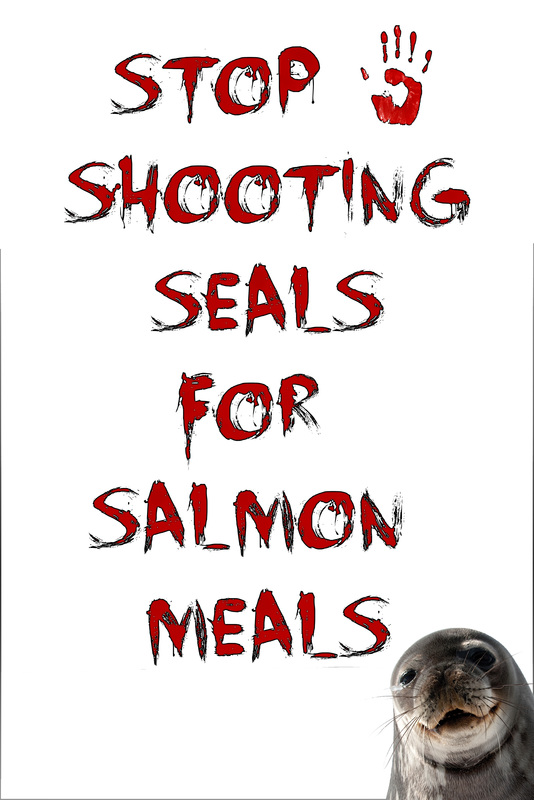 "When you buy Scottish salmon you pay for bullets to shoot seals," said John Robins, Secretary to the Save Our Seals Fund in a press release in May 2013. "Scottish salmon farming is a serial seal killer which needs to be named and shamed," continued Staniford. "Whatever the decision today, GAAIA will be writing once again to the U.S. Government reiterating the call to ban imports of all farmed salmon sourced from seal-killing salmon farms. 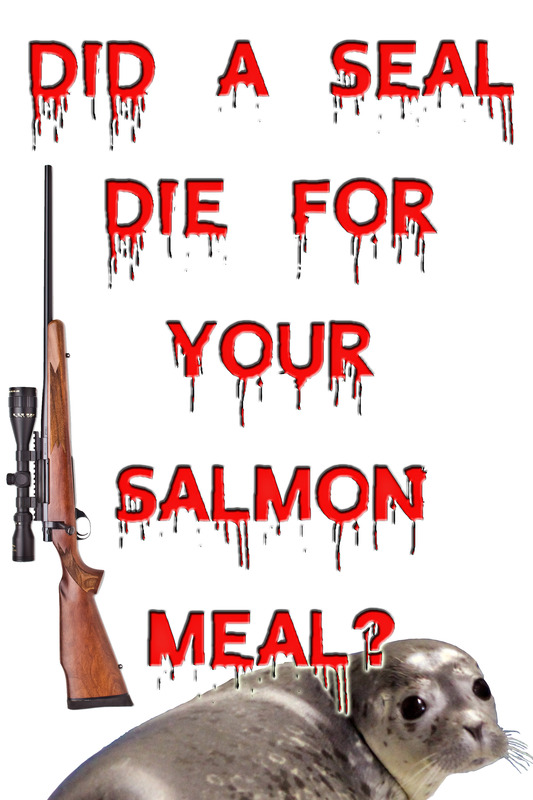 Under the U.S. Marine Mammal Protection Act it appears illegal for consumers in the United States to buy salmon from farms where seals have been shot. Given that the U.S. is the biggest export market for Scottish farmed salmon it is not surprising that the Scottish salmon farming industry has been busy lobbying the Scottish Government against disclosure. Sadly, the majority of consumers are unaware that both the RSPCA's 'Freedom Food' and the WWF/Aquaculture Stewardship Council's salmon certification scheme shamefully permit the killing of seals. 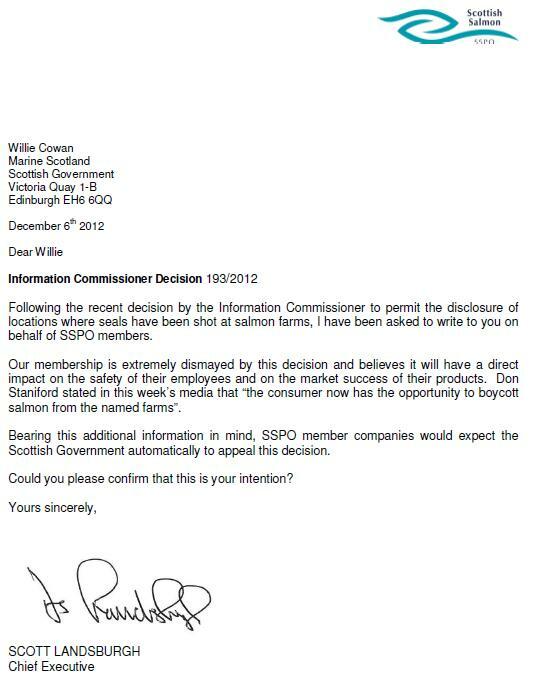 The sure-fire message to consumers is simple: Scottish salmon is farmed and dangerous." The Scottish Government successfully delayed disclosure until another SIC ruling in April 2013 (read a SIC "Press Statement on the enforcement of Decision 193/2012"). 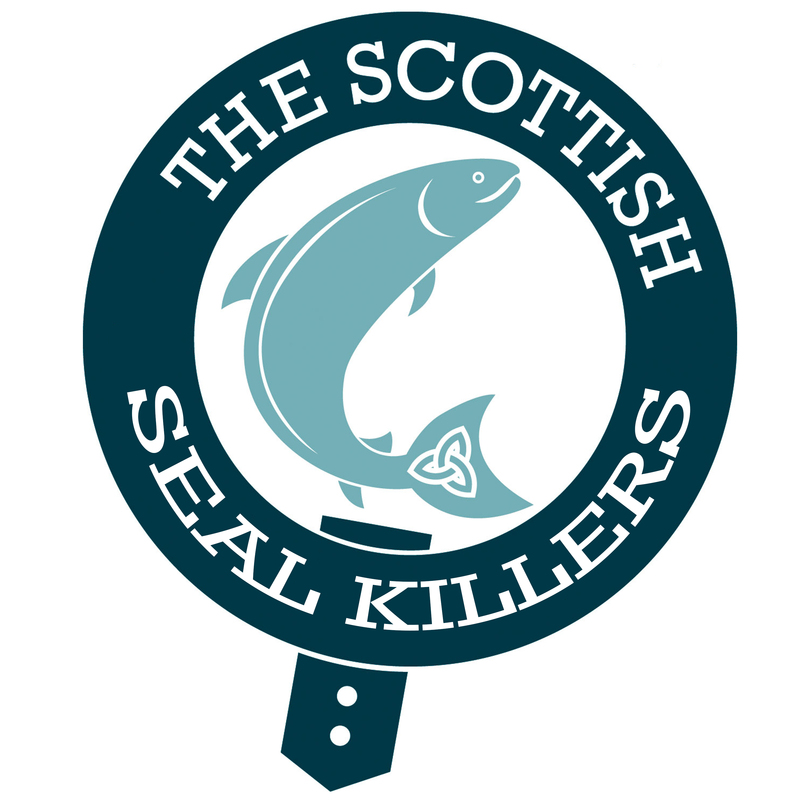 Finally, in May 2013 the Scottish Government was forced to publish the names of salmon farms killing seals (download site specific seal killing data for 2011, 2012 and 2013 online here). Despite the SIC's previous rulings, the Scottish Government back-tracked and stopped publishing site specific data on seal-killing salmon farms during the first half of 2014. 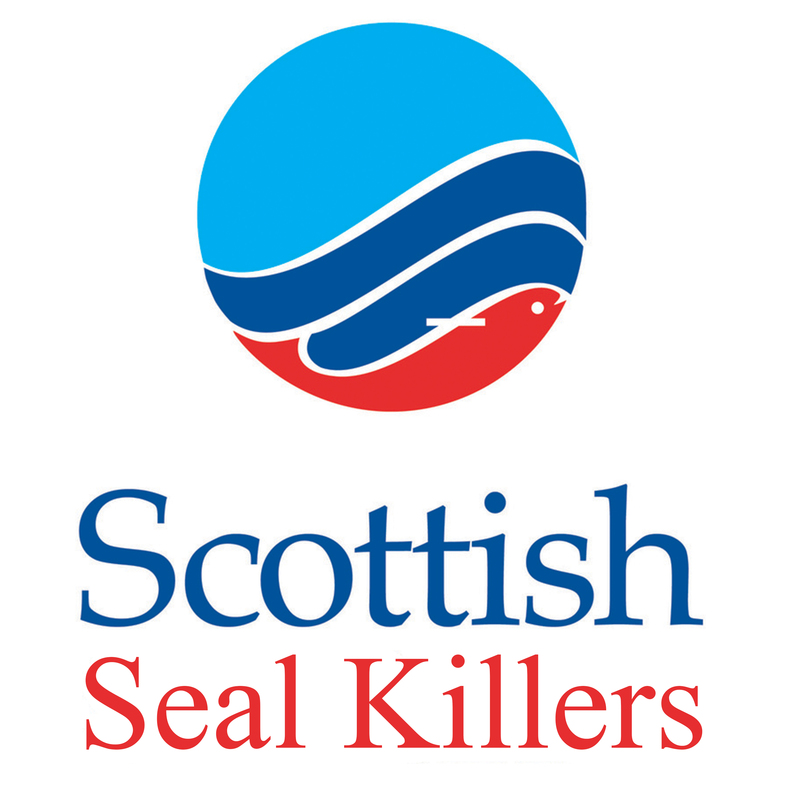 In a FOI refusal letter in August 2014, the Scottish Government claimed a "significant risk of accidental injury to campaigners if they seek to get between licenced seal shooters and seals" and cited "recent evidence about harassment, intimidation and threats made to company staff and their family members by specific campaigners". 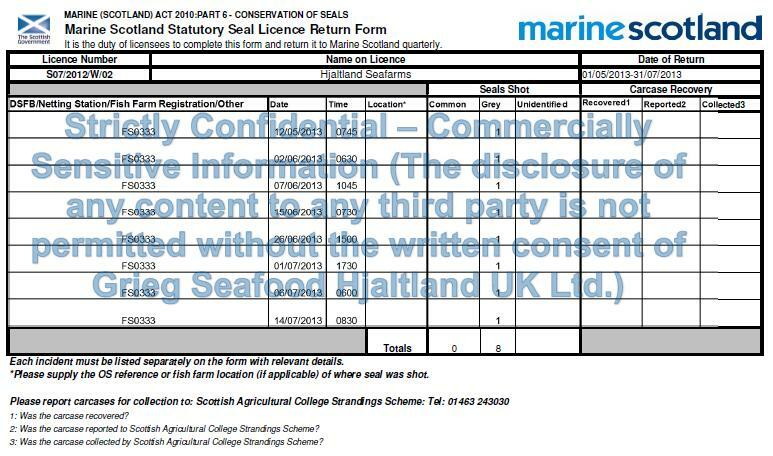 In August 2014, GAAIA asked the Scottish Government for a formal review arguing that Marine Scotland had reneged on the previous SIC ruling (read news via "End Secrecy Over Seal Deaths"). In September 2014, GAAIA filed an appeal with the Scottish Information Commissioner. "I repeat GAAIA's position that disclosure of the salmon farm sites killing seals is in the public interest and consumers have a right to know about the provenance of the salmon that they are buying," wrote Don Staniford. 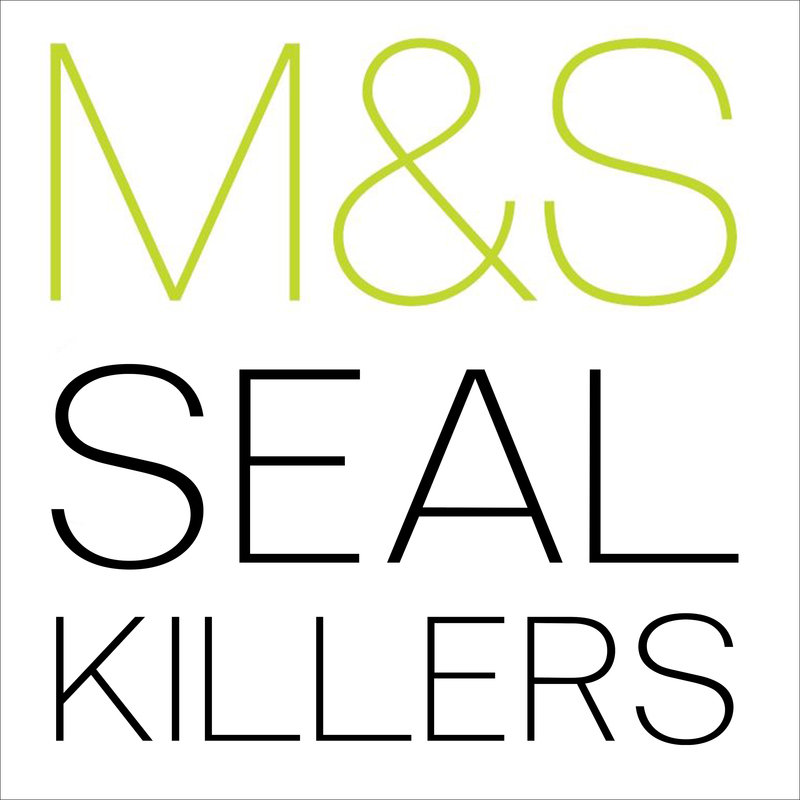 "Surely the public have a right to know which sites are killing seals and make an informed decision about the salmon they are buying?" Since September 2014, both GAAIA and the Scottish Government has submitted further written evidence. GAAIA has also filed other FOI requests with Police Scotland and the Scottish Government. 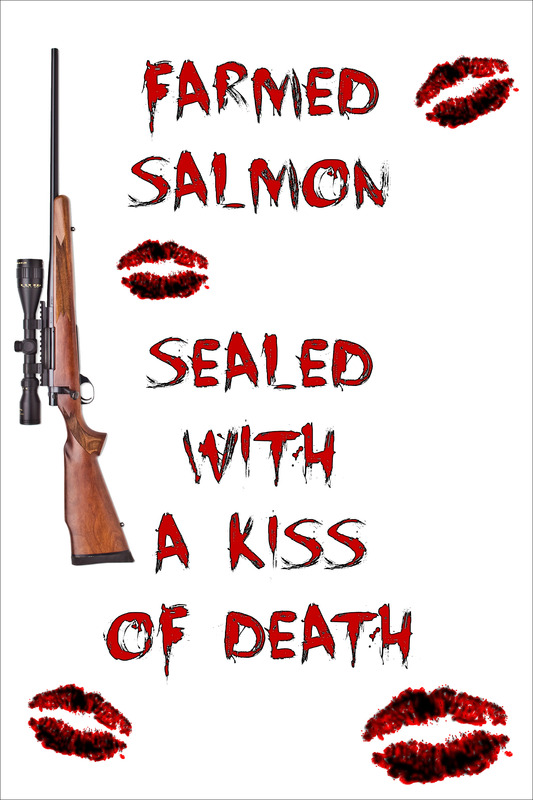 Read more details via GAAIA's 'Media Backgrounder: Sealed Scottish Salmon'. 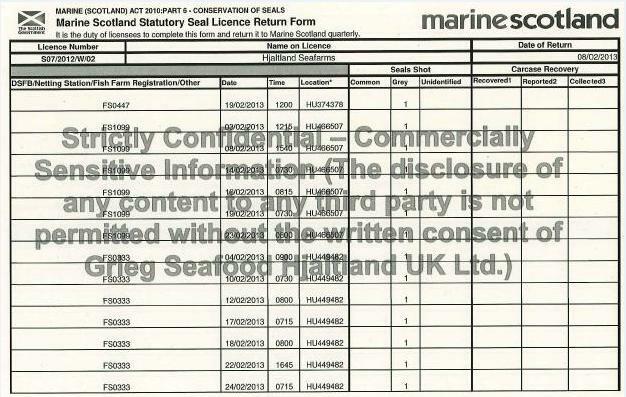 Download press release with photos in full via: "Landmark Rulings on Seal-Killing Salmon Farms- Scottish Information Commissioner to publish decisions this afternoon"
View this photo: Sign #1: Did a seal die for your salmon meal?